The Ultimate Guide to Twitter Optimization – Website Magazine – Website Magazine. According to a new report from the Pew Research Center, Twitter usage has climbed to 13 percent of U.S. adults online – up from 8 percent in November. Usage among people ages 25 to 34 and 55 to 64 has more than doubled since late 2010. These statistics are impressive but they don’t tell the whole story about recent developments with Twitter and the fact that it is on its way to becoming the Web’s next great search engine. For that, you need to optimize. But first, let’s look at how Twitter is getting closer to its goal of becoming a legitimate powerhouse. Earlier this year, Twitter acquired TweetDeck, the service that helps users organize information on Twitter and eases the burden of constantly streaming updates. 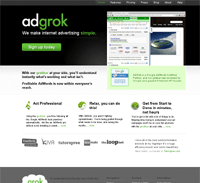 They also recently acquired AdGrok, an advertising platform intended to help Twitter monetize the site. Other recent developments include an embeddable button that allows users to more easily follow their favorite accounts on Twitter, and the ability to share photos on Twitter directly (expect video to follow). One can argue all day that Twitter is used by a small percent of the population and that the number of accounts is inflated, due to users having several accounts at one time. But what cannot be argued is that the amount of information that flows through Twitter is enough to challenge any other source on the Web. Although it might not be a core of Twitter’s current usage, the new acquisitions point to a new phase in the service’s development – a budding real-time, social search engine. It should now be treated as such. Below, are 10 tips for Twitter optimization to make sure that your business is at the forefront of the Web’s next search boom. Use TweetDeck. 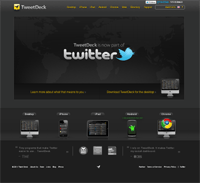 Twitter acquired the TweetDeck so that they could centralize Twitter functionality and keep a tight grip on the information flowing through the site. You can be sure that those who use TweetDeck will have an inherent leg-up on the competition. Use Hashtags. As it stands, hashtags (#web or #sports, for example) are a good way to get your tweets indexed, searchable and noticed by other users. Don’t be afraid to get creative with hasthags, either. Sometimes they can create new streams of content or simply catch the attention of other users who will retweet your message. Use Keywords. Think like a SEO professional. Research keywords and use them in your updates. Be Witty. Keywords are necessary. But you must also entertain, from time to time. Clever tweets have a way of being re-tweeted. Also, consider using teasers to encourage clicks on links. Use Descriptive Short URLs. When possible, edit short URLs to include content keywords. Not only will they stand out from the rest, but users will be inclined to use that URL rather than re-shrinking it on their own – resulting in better, more accurate click and share data. Vary Content Types and Providers. If users wanted to only read about your company, all the time, they would subscribe to your RSS feed or bookmark your blog. Mix it up with content from other sources and by type (video, audio, photos). Remember that we are focused on search, and multimedia is increasingly important for search engines and users. Tweet Regularly and Promptly. You don’t want to be a nuisance but be sure to post quality updates on a regular basis. It ensures you stay top-of-mind with consumers and provides more content available to index and search. Tweet every piece of content you produce. Twitter is used by many to find breaking news. Provide it. Post Contests, Giveaways and Promotions. People love a good deal and Twitter users are no exception. Running promotions will attract followers. And the number of followers is undoubtedly part of the search formula at Twitter and on standard search engines, where tweets are increasingly displayed. Re-tweet and Follow. By re-tweeting others and following other accounts, you will earn more followers and encourage interaction – another factor that Twitter will take into account when assigning “status” to information providers. Listen. Many people use Twitter to contact businesses, air grievances and seek support. Listen up, and reply promptly and fairly. It shows that you respect your followers, can foster any number of opportunities for cross-promotion and branding, and can prevent a bad experience from “going viral.” Solicit feedback, too. People like to feel that they are making a difference.